The third day of Dreamforce started with ‘Dreamforce Equality Summit‘. It was a day full of inspirational talks and motivational sessions that includes a pledge to create an equal world and future. While addressing Dreamforce Climate Summit, former vice-president AI Gore enlisted Trailblazers to join in the Sustainability Revolution, which he said has the magnitude of the industrial revolution, with the speed of the digital revolution. Read more what AI Gore has to say. In one of the most inspiring sessions of this year’s Dreamforce ‘Fortune Executive Summit’ Geisha Williams who is the first Latina CEO of a Fortune 500 company and recently named 24th on Fortune’s list of most powerful women, addressed the audience and shared her inspirational story and how a great leader’s three words changed her life. Going forward with a keynote session with Commerce Cloud CEO Mike Micucci, he demonstrated how Einstein product recommendations can help your customers fill their shopping carts with their choice of products at a speed which you can’t imagine. At the end of the session, they donated two carts of worth $3000 each carrying cosmetics to an organization called Dress for Success that empowers underserved women to interview for jobs like seasoned pros. You can see the hyperspeed shopping experience here. In the Marketing Cloud Keynote, trailblazers from all over the world gathered to share their brand success stories, discuss current industry trends, and strategies to adapt market changes in the ever-evolving world of marketing. DF’18 marketing cloud keynote saw leaders from Salesforce, along with customer Trailblazers from Warner Bros. Entertainment, Ticketmaster, and BBVA shared useful insights on intelligent marketing. In one of the announcements, Salesforce announced that Lamborghini has tapped into the power of Salesforce to connect every aspect of the Lamborghini ownership experience. They will embrace Salesforce Marketing Cloud for their customer communications from initial invitation to their Lamborghini Unica app download for service requests and appointments via email, SMS or push notifications, depending on customer preferences. In another announcement, Salesforce announced their partnership with luxury fashion brand Diane von Furstenberg who will use Salesforce Commerce Cloud to engage their customers by offering 3D shopping experience. Salesforce Success Cloud will build DVF 360 which will help them launch new customer experiences. At customer success expo, DataArchiva had another amazing day. Exhibiting at booth no 1942, the native data archiving solution was the center of discussion among many trailblazers. With its unique features and functionalities, DataArchiva was able to win the attention of many industry leaders from multiple domains. 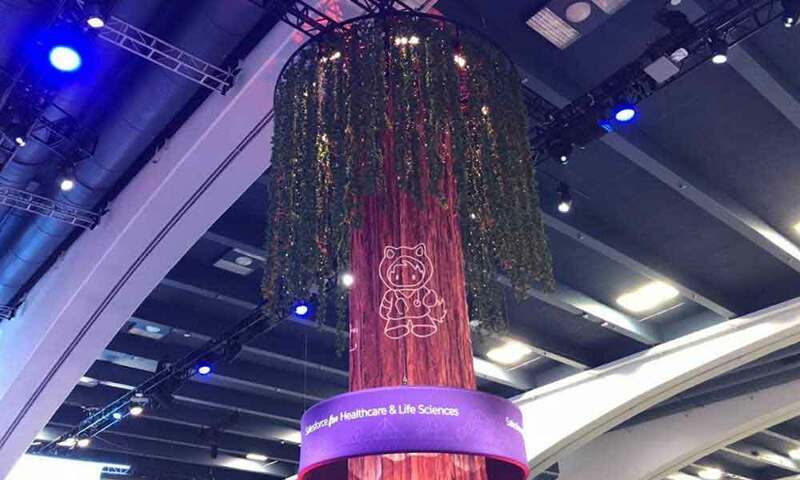 As Dreamforce ’18 is at its final leg, we are expecting a fairytale DF’18 experience for DataArchiva. If you haven’t visited our booth yet, come and meet us to know how you can save over 80% data storage cost while archiving your less used Salesforce data.